Instead of simply badging the 2013 Champions League with another brand logo, The Corner created a fresh, interactive approach to sponsorship. Working closely with B-Reel and creative director Alex Jenkins, I helped created the design direction of the campaign and the responsive campaign microsite. 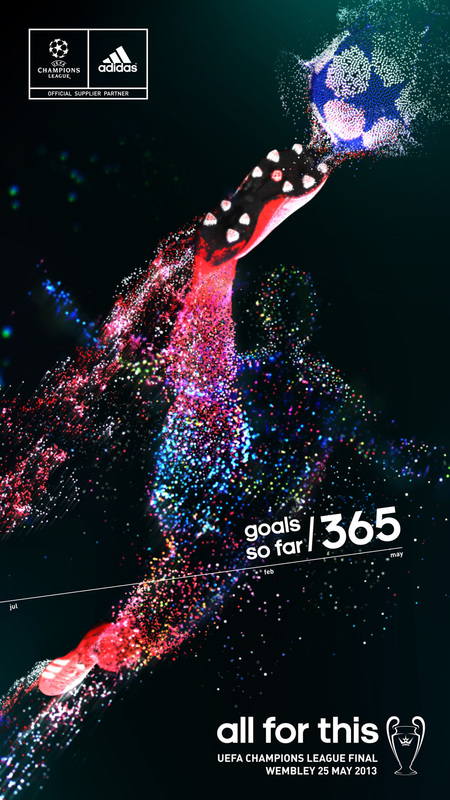 Using real-time data captured during the match, various players’ journeys to the final was visualised. 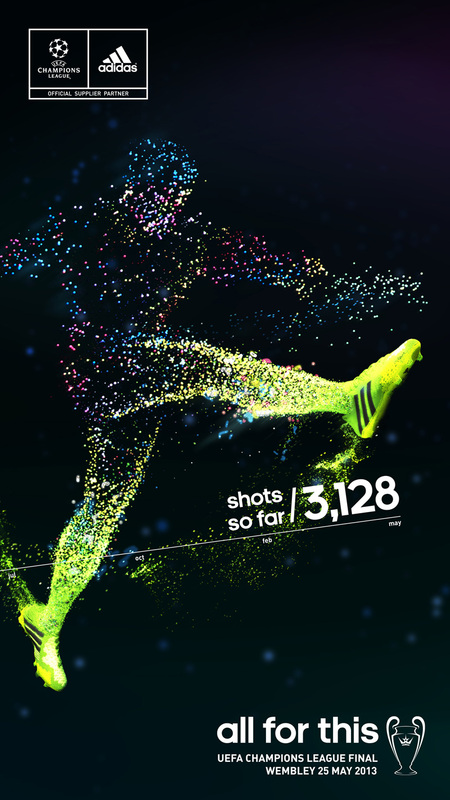 Then the campaign invited fans to use the stats to predict how those players would perform in the final itself. 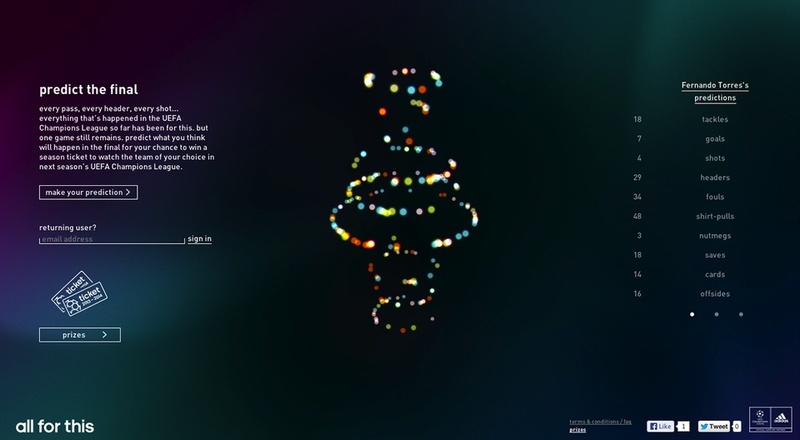 The design direction of the campaign dramatised the real-time data of various actions of players using particles that represents the frequency of the action taken in the match. The fans were invited to use the real-time stats to predict how those players would perform in the final itself. 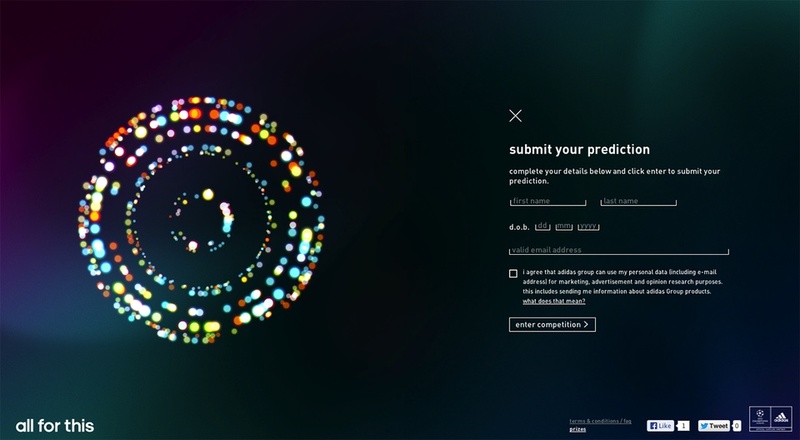 Some 20,000 fans visited the site and 6,000 of them predicted the final. #allforthis was the no.1 branded term on twitter by the end of the game. 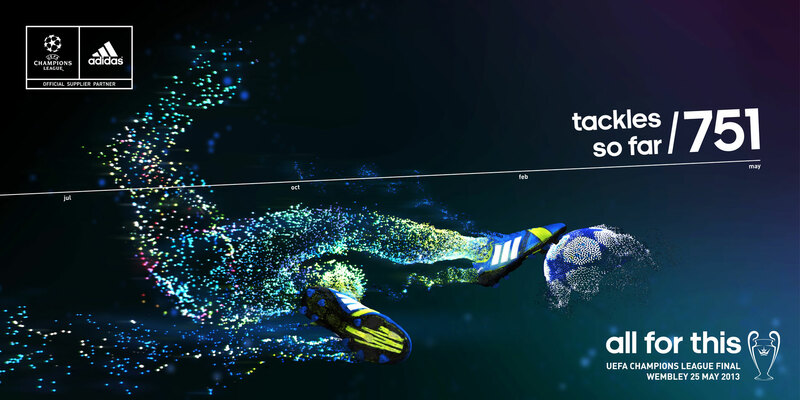 The resulting visuals were then turned into in-store posters and billboards, visible across major adidas stores.